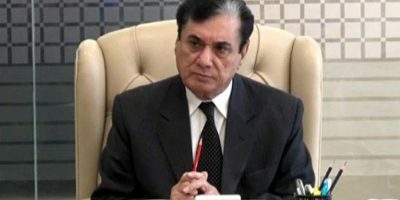 ISLAMABAD, MAR 25 (DNA) – Secretary-General, Pakistan People’s Party (PPP) and Former Senator Farhatuallah Babar, said out of fourteen points of Quaid e Azam Muhammad Ali Jinnah, four points are about provincial autonomy, which is a central piece to this country. He said the federal parliamentary system of governance is indispensable for ensuring participation, provincial autonomy and survival of this country. Eighteen (18th) constitutional amendment was one of the greatest achievements of the all political parties, which addressed the critical issues of provincial autonomy, he added. He stated this while addressing a public seminar titled “Parliamentary System of Governance: Challenges and way forward”, organized by Sustainable Development Policy Institute (SDPI) here on Monday. 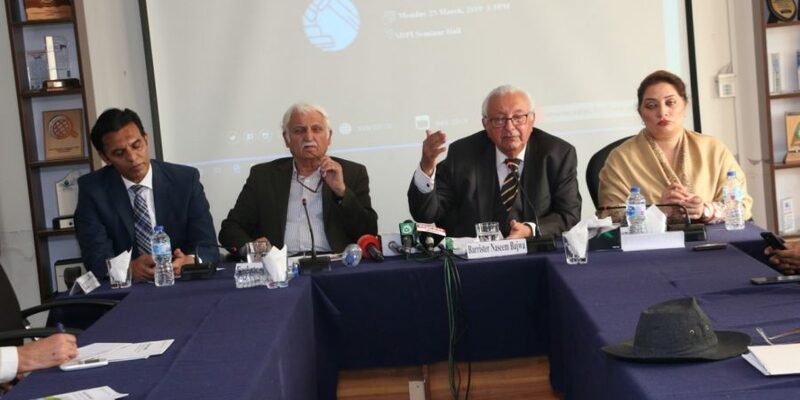 Babar said in the last few months there is a debate which is being generated deliberately whether the parliamentary or presidential form of government suits the country with the aim to present parliamentary system a fail system. He said in the last ten years, there were three general elections held on time, two governments completed their legitimate tenures and system was moving in the right direction. But, one development in this tenure was disturbing in which institutions cross their limits and where two elected Prime Ministers were removed by the Judiciary, which was unfortunate intervention by any institution into other institution, he added. 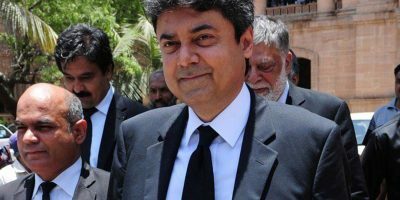 “Though there are challenges and shortcomings in the current parliamentary system, as no system is perfect, but that does not mean to demolish the whole system instead of fixing the weaknesses,” said Babar. While commenting on corruption, Babar said the system of accountability itself corrupted, where institutional corruption is on the rise and entire mechanism of accountability lost its credibility and meaning. We should have a law of combating corruption, which should be applicable to all public servants, he added. She said there are challenges and lacunas in the current system, but we should tackle the challenges through consensus. She said it is unfortunate that only politician are being maligned and portrayed as corrupt through a deliberate propaganda, which should be stopped. Barrister Naseem Ahmed Bajwa, a renowned lawyer and author based in the United Kingdom said that the present system of governance is being drown toward failure mainly due to our poor system of elections, uneducated and incompetent candidates, irresponsible media, lack of a vibrant civil society and lack of effective local government system. He said local constituents should have a say in the parliament and should have the right to choose their own favorite candidate. A system which does not reflect the people of the country cannot be a democratic system, he added. Dr. Abid Qaiyum Suleri, Executive Director, SDPI said despite having strong parliamentary traditions, the United Kingdom still facing the grave challenges such as Brexit. In healthy and progressive societies there is always room for debates, discussions and improvements and we should all maturely move forward and strive for better governance in Pakistan.